"Tell me why we're absolving the men of it? Is: the fellows get most of the benefit." The nation erupted in controversy this past week, after right-wing radio host Rush Limbaugh insulted a Georgetown University law student who attempted to give Congressional testimony on the issue of compelling health plans to cover prescription contraceptives. On economic blogs, the question of whether women's birth control prescription costs should be socialized or even subsidized was hotly, and sometimes reasonably, debated. Rare was the partisan, however, who considered the role of men in this question. 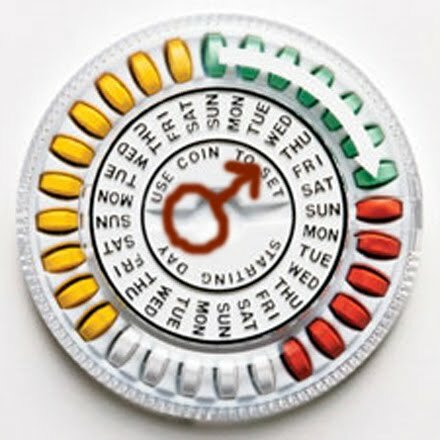 After all, women don't generally need contraception on their own. Since no-one can deny that men as well as women derive benefits from the pill, is this not a classic case of the "free rider" problem? For example, I would be willing to bet that the man usually pays for the dates that lead to the consummation of the courtship. Also, the pill is a woman's "choice". 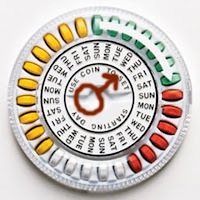 She generally chooses to go on the pill, vs. demanding her partner perpetually use condoms, for which it is generally he who incurs such expense. I guess a fairer counter-argument would be: Should a man's insurance policy be compelled to cover condoms?